Today the outlook started looking not so good, so we had breakfast at ihop and waited on updates. We at that point had already decided that this was going to be a laundry/Walmart/down day. While others washed their socks and shirts, I finally got my first hot cup of real Starbucks coffee of this trip. Well, that down day changed quickly. After a couple of updates we went from probably nothing nearby to a tornado watch. Our initial plan was to go to Oklahoma for some sightseeing and get in a better position for tomorrow. But because they updated the outlook for tomorrow, Oklahoma was cancelled (that receptionist of that motel was not happy) and rooms were booked in Hays, Kansas. After waiting at a gas station again, we followed our first storm. But that one did not do much. After some driving back and forth we sure picked the right one and saw a small tornado that was briefly on the ground. From that same supercell another rotation started forming. That also developed into a tornado. But this one got really enormous. We followed it around and made several stops. Did I already mentioned that this thing was huge? And this monstrous tornado stayed on the ground for over 90 minutes. As we saw it growing and lasting we got more and more concerned for the people that lived in it’s path. Later we found out that there was only a minor injury and no one died, but still lots of homes were destroyed. 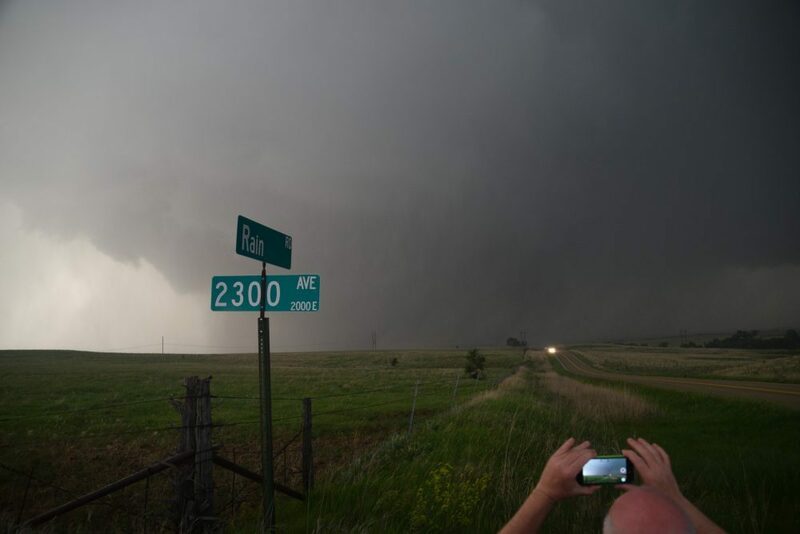 But wow, what a beast of a tornado. We could here it roar. At first it was more distant, like a train further away. Later on it made a sound so powerful and strong that is not like any other sound I heard before. Dinner was at McDonald’s, a very needed night sleep was at the EconoLodge at Hays. 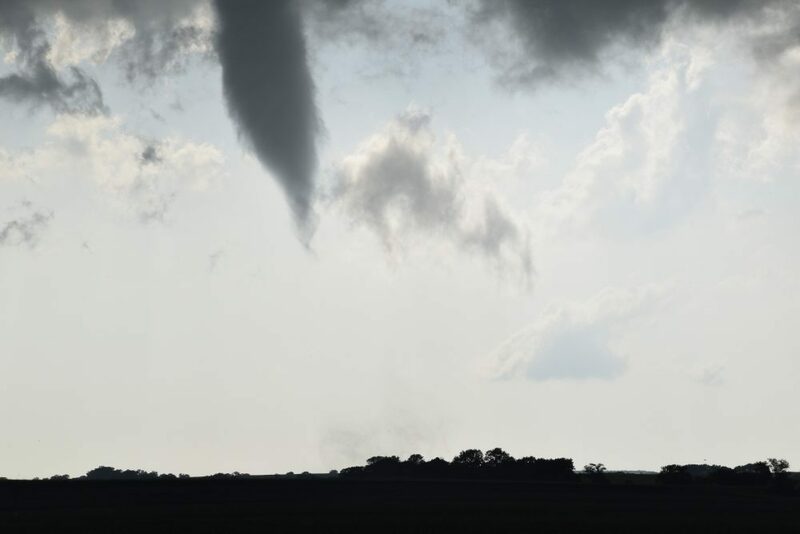 The next morning I could still see the shape and movement of this tornado in my head. 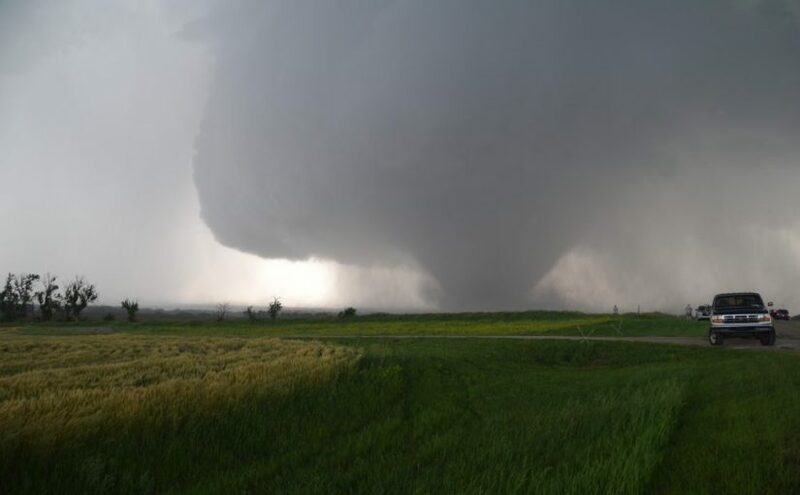 Daniel found out that this tornado was officially categorised as an EF 4.